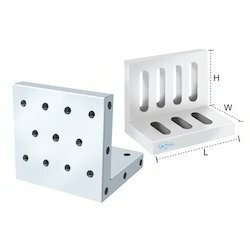 Angle plates are invaluable for accurate work in tool room, right angle machining & grinding. Made from single piece high quality alloy steel. Accuracy for Squareness, Flatness & Parallelism is within 0.005mm upto 150L & within 0.010mm upto 300L. M6 & M8 tapped holes for clamping. Hardness - 60 ± 2 Rc. We are the leading supplier and manufacturer of Hardened Angle Plate. We are the leading supplier and manufacturer of Angle Plate. 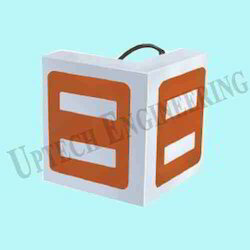 We are the leading supplier and manufacturer of Electro Magnetic Angle Plate. Price ranges from Rs 13,500 to 18,200 depending on different models.